River steamboat captain Charles Marlow has set forth on the Congo in Africa to find the enigmatic European trader Mr. Kurtz. Preceded by his reputation as a brilliant emissary of progress, Kurtz has now established himself as a god among the natives in “one of the darkest places on earth.” Marlow suspects something else of Kurtz: he has gone mad. 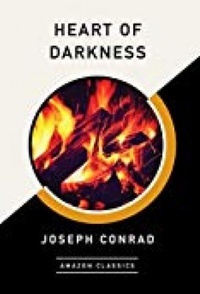 A reflection on corruptive European colonialism and a journey into the nightmare psyche of one of the corrupted, Heart of Darkness is considered one of the most influential works ever written.